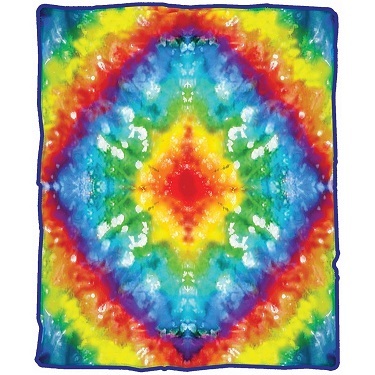 This soft fleece tie dye throw is not only made for warmth but also comfort and art. It measures 50" x 60" and is great to bring camping, a festival or for relaxing on the couch. You can even put it on the wall as a wall hanging.